The Cascade Company » Cascade Room, El Camino's, The Union » THE UNION STREET BLOCK WARM CLOTHING DRIVE! 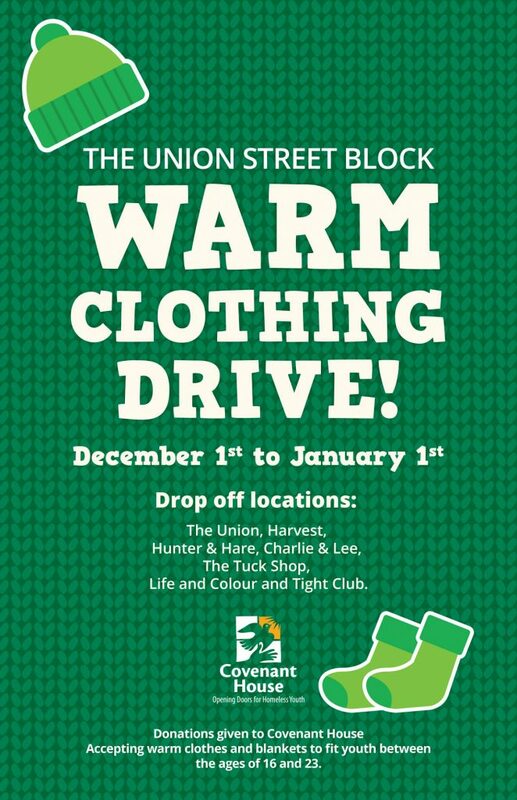 THE UNION STREET BLOCK WARM CLOTHING DRIVE! Accepting warm clothes and blankets to fit youth between the ages of 16 and 23.